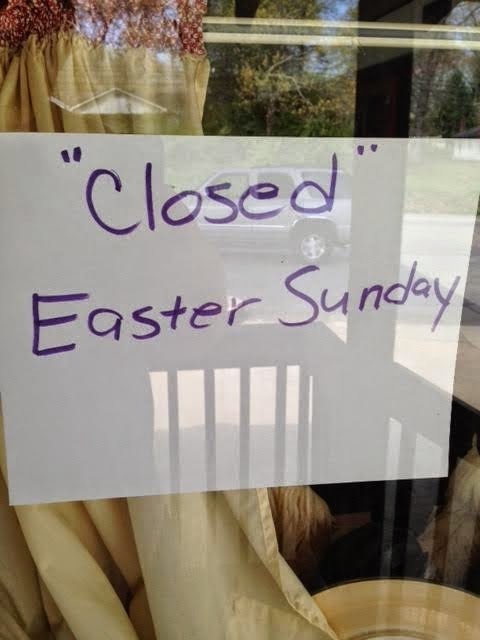 The “Blog” of “Unnecessary” Quotation Marks: "Closed" you say? I mean, obviously, open to cool people. Thanks Kevin. So many of these posts rely on your educated mind poking fun at the working class. This one, for instance, looks like a sign at what might be a dry cleaners. I understand why it's funny to dissect these things, but perhaps consider your target next time before you pat yourself on the back for understanding basic punctuation. I disagree. The joke here isn't "I'm smart and other people are stupid." The joke is, "what would it mean if this totally understandable error was actually intentional." That's why I do quotation marks and not other grammatical errors like apostrophes.